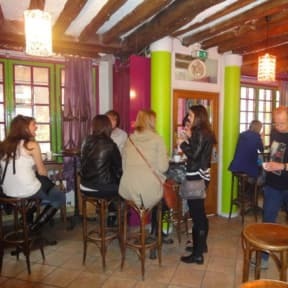 Comfortable beds, delicious breakfasts, nice people, really good service, the kitchen was clean and you have everything you need in it, the hostel was really clean and its located in an awesome part of the city. I would come back for sure. 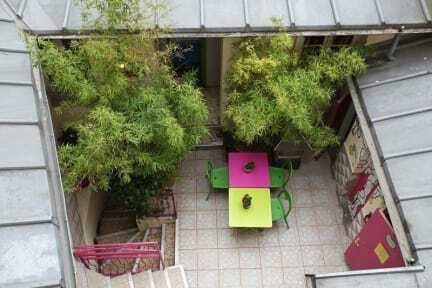 I absolutely loved this hostel! It was very clean, true to the pictures shown, and had a great breakfast. The only comment is that I could hear almost everything from my room. There was multiple times that there was a lot of people being loud past 10pm when I was trying to sleep. The staff did not seem to get onto the ones who were load. Really enjoyed my stay. Was really surprised how new and clean the rooms were. Breakfast was good, and the staff were really helpful. There are also free computers to surf the internet. Pressure in shower was also very good! Would go again! I stayed in Woodstock for two nights. I had booked a 6 bedroom. I feel pain in my ankle and I asked reception to change my room she changed it to more appropriate room without charging extra money. Its staff was polite and welcome. Breakfast included bread and butter and jam. So it was too simple. All in all, I recommend this hotel to stay in, because of the atmosphere, clean rooms, staff, and location. There’s a guy in breakfast time who’s watching all the time; I guess it’s because they give just one croissant per person, but very uncomfortable! Not an option if you want to have a peaceful night, very noisy. The pictures make it look like their are multiple rooms that are available to socialize. In reality it is just the lobby shot from many angles. You also are not aloud in the rooms from 10-2 so not having other areas is frustrating. The surrounding area is beautiful and there is plenty to see. Okay hostel for someone who is just looking for a quick place to sleep for the night. Hostel kicks you out of computer room @ 10:30, & out of your room from 11-2 for cleaning. The staff were ok, some rude, some really helpful. I would not stay there again.